Anh-Nguyen.com | ...because everyone is entitled to my opinion..
…because everyone is entitled to my opinion..
– October 3, 2016Posted in: The. Wire. 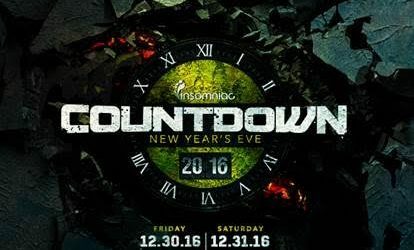 LOS ANGELES, CA – Today, the expanded dates and on sale details were announced for the 3rd annual New Year’s Eve celebration, Insomniac Countdown. 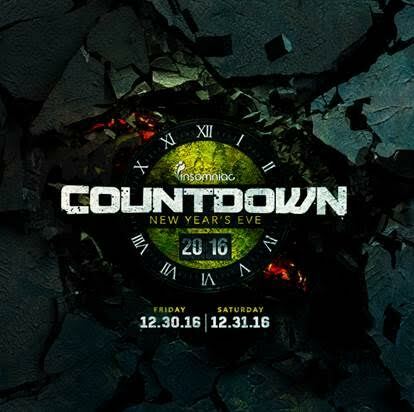 Following last year’s spectacular sold-out event, Countdown will return to NOS Events Center in San Bernardino, CA, extending over two unforgettable evenings on Friday, December 30 and Saturday, December 31. Headliners will come together to celebrate the memories they made in 2016, while ringing in 2017 surrounded by beautiful scenic décor, mind-blowing production, enhanced VIP offerings and an unforgettable soundtrack from world-renowned dance music artists across three massive stages. Tickets for this premier New Year’s Eve event will go on sale Friday, October 14 at 12 PM PT. Bringing 2015 to a monumental close, Insomniac’s Countdown hosted 30,000 Headliners under twinkling lights and confetti showers during its sold-out affair at the NOS Events Center. Fans enjoyed notable performances from over 30 of dance music’s top artists including Kaskade, DJ Snake, TJR, Flux Pavilion, and Alison Wonderland, across three newly designed stages. VIP guests were treated to a delightfully cozy experience all night as they enjoyed brand new amenities such as heated tents, a hot chocolate and s’mores bar, complimentary food truck bites, NYE-inspired cocktails, and plenty of plush seating. Details surrounding this year’s elevated offerings will be revealed in the coming weeks. Tickets for this 18 and older event will be available at CountdownNYE.com on Friday, October 14 at 12 PM PT. Stay tuned for additional updates by following Countdown on Facebook, Instagramand Twitter. Throughout its 23-year history, Insomniac has produced more than 1,000 festivals, concerts and club nights for nearly 5 million attendees across three continents. Insomniac’s events are held in California, Florida, Michigan, Nevada, New York, the United Kingdom, Mexico and Brazil. The company’s premier annual event, Electric Daisy Carnival Las Vegas, is the largest multi-day music festival in North America, and attracted more than 400,000 fans over three days in June 2016. The company was founded by Pasquale Rotella, and has been based in Los Angeles since it was formed in 1993.